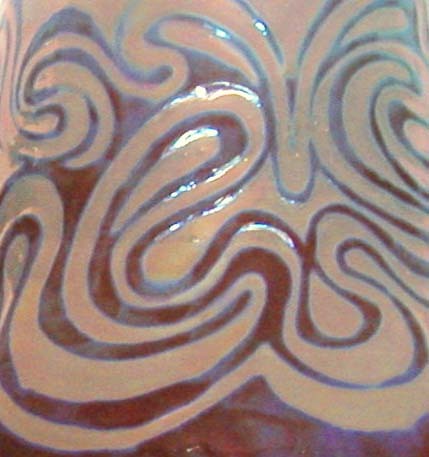 There are several different techniques that can create luster glaze surfaces, but the one that I use is known as "Persian Luster" or "strike reduction". During the firing process combustible materials such as leaves or wood are inserted into the kiln creating a smoky, ash-filled environment. The absence of oxygen converts the metallic oxides back to their original state, resulting in colorful lusters, brilliant metallics, and fabulous textures such as craters, and melt fissures. 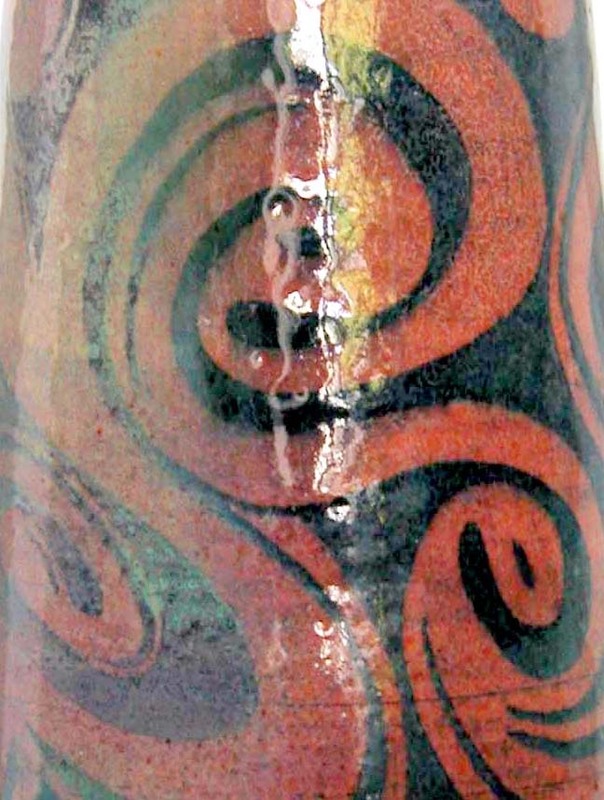 Many of the pieces are fired multiple times to achieve the desired results. Historically, the first luster glaze surfaces were developed in Iraq in the ninth century and subsequently spread to Egypt, Syria, Iran, and Spain. The development of this technique greatly advanced the art of pottery making. The production of luster pottery was complicated, expensive, and time-consuming, indicating that such objects were regarded as luxury wares, perhaps imitating precious metals. 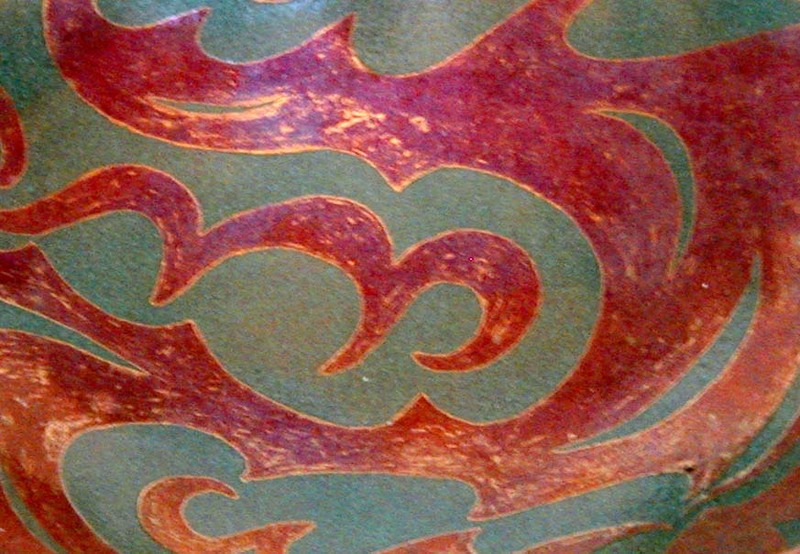 Painted luster decoration on pottery on white-glazed wares became incredibly brilliant and Islamic luster-painted wares were later imitated by Italian potters during the Renaissance. During the 20th century pioneers in ceramics like Jacques Sicard, Beatrice Wood and Gertrud and Otto Natzler experimented with this process and produced spectacular luster surfaces. Today there is little technical information available and very few artists who practice this challenging technique.